Great for smaller adult paddlers and larger kids to get out paddling in. 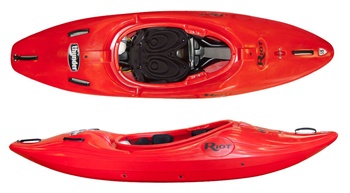 Larger version of the Riot Quest kayak. Stable touring kayak that's great for Exploring the Norfolk Broads. 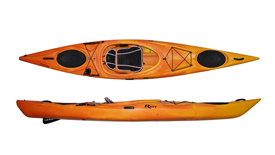 Longer touring kayak with more speed for covering greater distances. Larger version of the Riot Enduro with more volume and capacity. 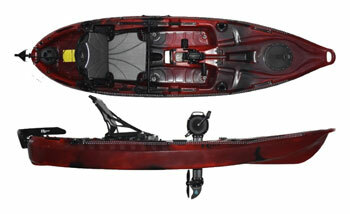 Versatile, stable touring kayak at a great price. Stable, predictable and comfortable ride. 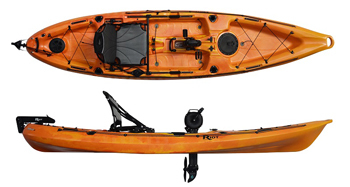 Superb entry-level sea kayak with bags of features. Grat value for money. Propeller powered 10ft sit on top kayak with pedal drive system. Propeller powered 12ft sit on top kayak with pedal drive system. Fast, stable whitewater river running kayak.